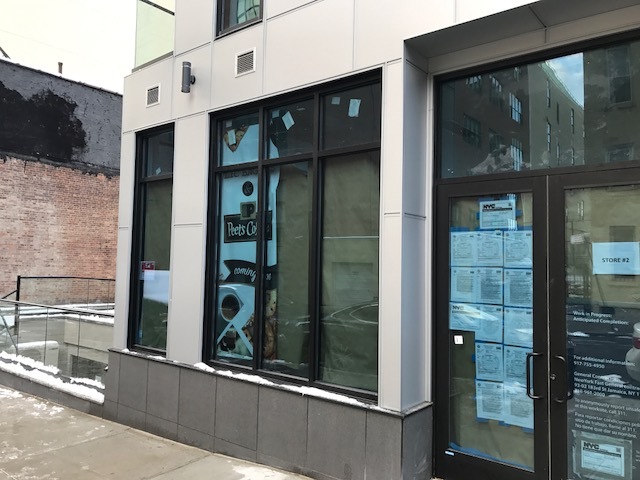 We last stopped by 41-02 27th Street (a/k/a 25-18 41st Avenue a/k/a 41-04 27th Street) back in October, when signage appeared advertising the commercial space.1 Part of that commercial space has been filled, with signage appearing for LIC Bagel and Peet’s Coffee on the east wing of the building, as seen in photos below. 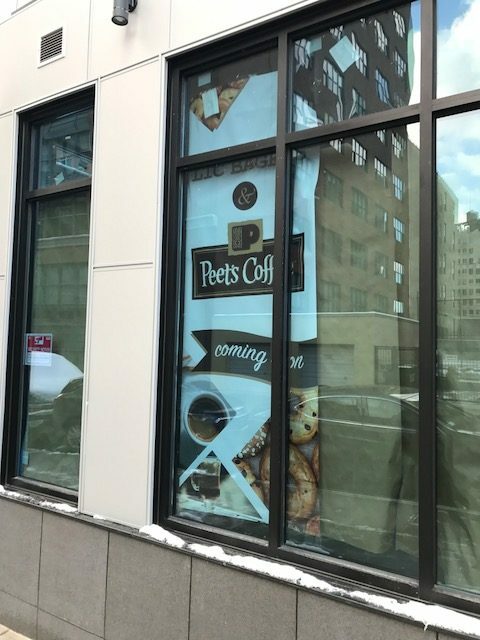 Over the past four decades, Peet’s growth has been fueled by the ever-increasing numbers of true coffee lovers in the San Francisco Bay Area and across the nation. Despite this growth, we remain true to the same principle that inspired our founder – an unrelenting commitment to quality. Since 1966, our goal has remained the same: we continually strive to raise the bar for the American coffee industry, while always delivering a great tasting cup for those who truly love coffee – for those whom a cup of coffee could only mean a cup of Peet’s.